Several months ago, I published an ebook called Creating Your Personal Life Plan. I made it available as a free PDF download for readers who subscribed to my blog via email. So far more than 30,000 people have done so. However, I have had numerous requests to make the book available in Kindle, Nook, and iBook formats. Unfortunately, the original landscape cover didn’t convert well to portrait. This has required me to reformat the ebook. As a result, I designed several new covers and then polled my readers. I went through three rounds of covers (1, 2, and 3). Over 4,000 of my readers voted. They were very passionate about which option they preferred and why. Ultimately, the GPS cover won, taking 56 percent of the final vote. Those that objected to the GPS cover said that they didn’t think that a GPS device was a good metaphor for life planning. A GPS requires you to input your destination. Nothing happens until you decide where you want to go. The same is true of a life plan. It forces you to determine the outcomes in each of your major life categories. This is the first section in the life plan. 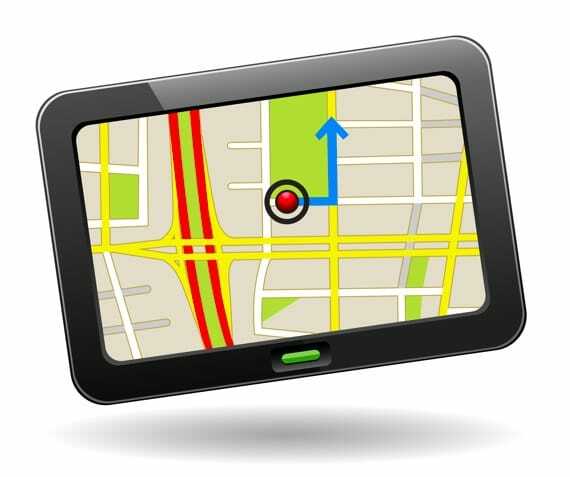 A GPS gets you to your destination faster with less hassle. I am directionally-challenged. Without technical help, I get lost quickly. My TomTom Navigation System gets me to my destination without the stress of trying to figure it out on my own. The same is true of a life plan. A GPS gives you constant feedback on your progress. I always know the street I am on, how far I must travel to the next turn, and how far to my ultimate destination. A life plan is similar. It tells me where I am in relation to where I want to go. It provides the context and keeps me oriented. A GPS helps you get back on track when you get off. Even with a GPS I take the occasional wrong turn. The system never chides me. It simply tells me what I need to do to get back on track. Same with a life plan. It gives me a reference point, so I know how to get to my destination. A GPS re-routes you around roadblocks. It is inevitable that you will encounter obstacles on the way to your destination. A good GPS is able to adjust on the fly and recalculate the route. The same is true of a life plan. It provides the flexibility to overcome obstacles and keep moving forward. A GPS is not always accurate. This is not surprising. It’s a challenge for GPS databases to keep up with all the changes: new roads, closed roads, traffic accidents, etc. The same is true of your life plan. You won’t always get it right. You will have to adjust as you encounter reality. A life plan gives you a framework for doing that. A GPS requires an investment. I used to pay $12.99 a day for the Hertz Never Lost system on my rental car. It was worth every penny. However, I finally wised up and bought the TomTom app for my iPhone. It was $49.99. It paid for itself quickly. A life plan is similar. It does require an upfront investment of time. But the rewards are well-worth it. Again, the metaphor is not perfect. It breaks down at several points. But all in all, I think works pretty well. It does its job as a metaphor. By the way, I am still working on the revised version of the e-book. I have decided to revise some of the content as well as the cover. Hopefully, the new edition will be available in the next few weeks. I will automatically notify everyone who downloaded the first edition. Question: How else do you think a life plan is like a GPS? You can leave a comment by clicking here.